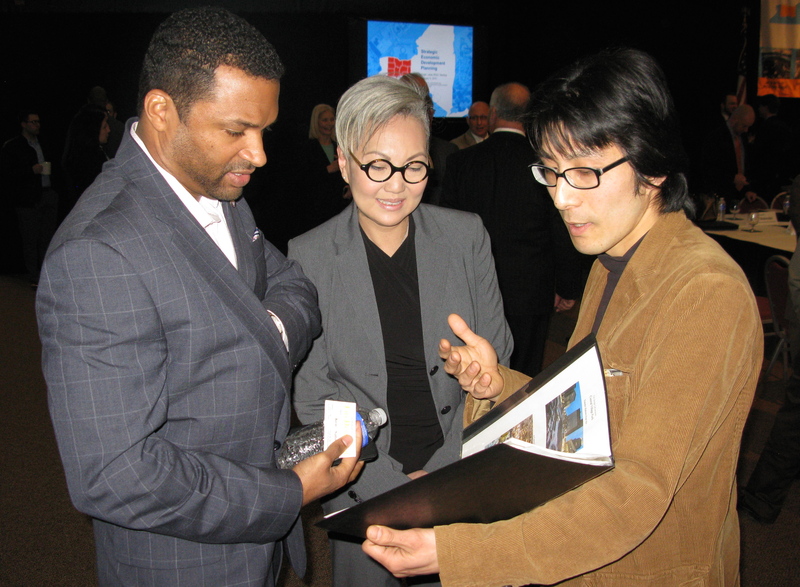 China Millennium Council President Mary Ho, U.S. Dept of Labor Deputy Secretary Christopher Lu and Asian Chamber of Commerce Houston President Linda Toyota at the 2015 National ACE Conference & Awards Ceremony at the Ronald Reagan Building and International Trade Center in Washington D.C. emphasized the Value of Collaborations of Unite Learn & Prosper. 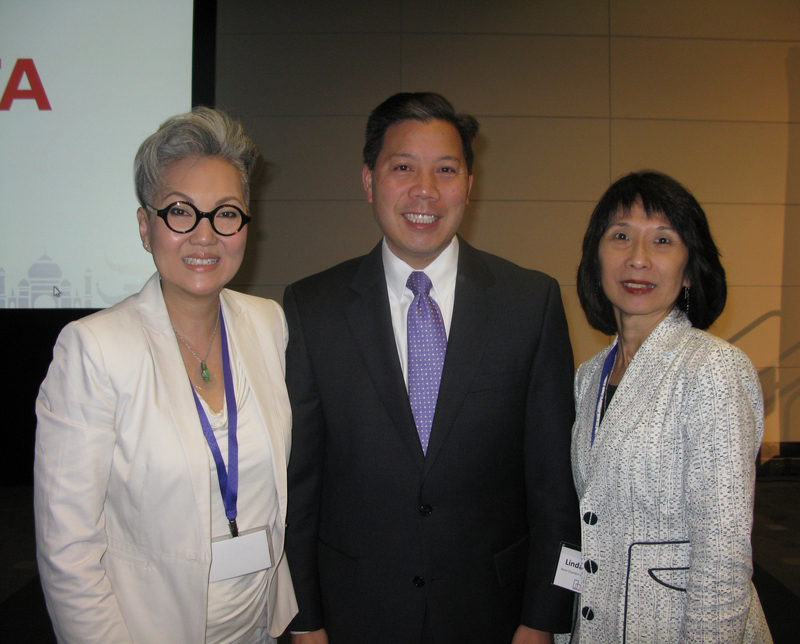 U.S. Department of Labor Deputy Secretary Christopher Lu stated emphatically the Value of Collaborations during his keynote opening remarks at the Asian Pacific Islander American Chamber of Commerce & Entrepreneurship 2015 National ACE Conference & Awards Ceremony held at the Ronald Reagan Building and International Trade Center in Washington, D.C. Honorable Christopher Lu serves as the Chief Operating Officer of a 17,000 employee organization that strives to create greater opportunities for all Americans. Earlier Lu served as the White House Cabinet Secretary and Assistant to the President. 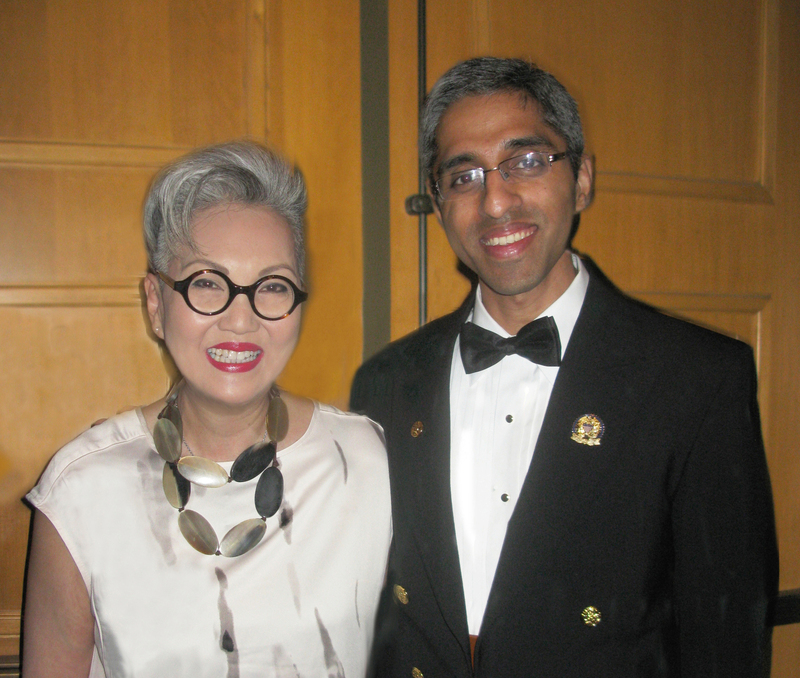 As one of the highest ranking Asian Americans in the Obama Administration, Lu was also the Co-Chair of the White House Initiative on Asian Americans and Pacific Islanders. National ACE brings together the leadership and insights of business owners, entrepreneurs, corporate leaders and government officials from across the country. Unite Learn & Prosper theme showcased the issue of invisibility among the AAPI community in all industry sectors including higher education, business and workforce labor areas. 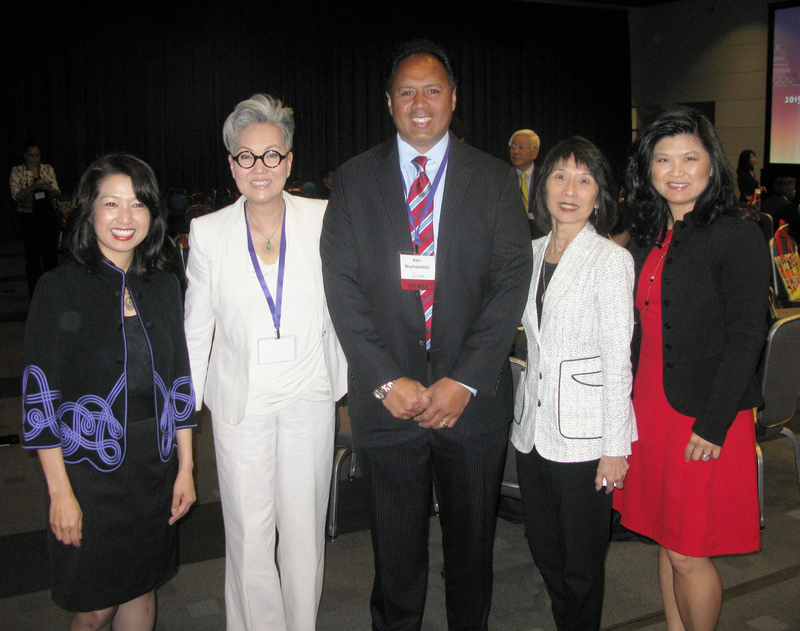 Establishing a pipeline with fair access to opportunities critical to ensure inclusion and success of AAPI community. Latest findings on the Asian American Pacific Islanders AAPI business and consumer communities were shared by Nielsen, CNBC and ACE leadership team. Highlights included remarks by Honorable Maria Contreras-Sweet, Administrator of the U.S. Small Business Administration; Ken Niumatalolo, Head Football Coach at the U.S. Naval Academy; and Dominic Chu, Markets Reporter for CNBC and Cornell University School of Hotel Administration graduate. 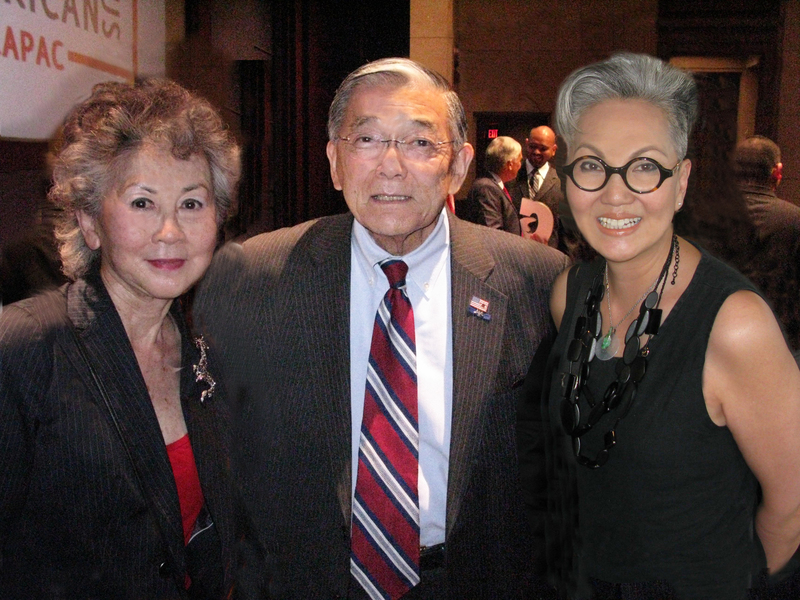 Sach Takayasu, CEO & President of National ACE, Mary Ho, China Millennium Council President, Ken Niumatalolo, Head Football Coach U.S. 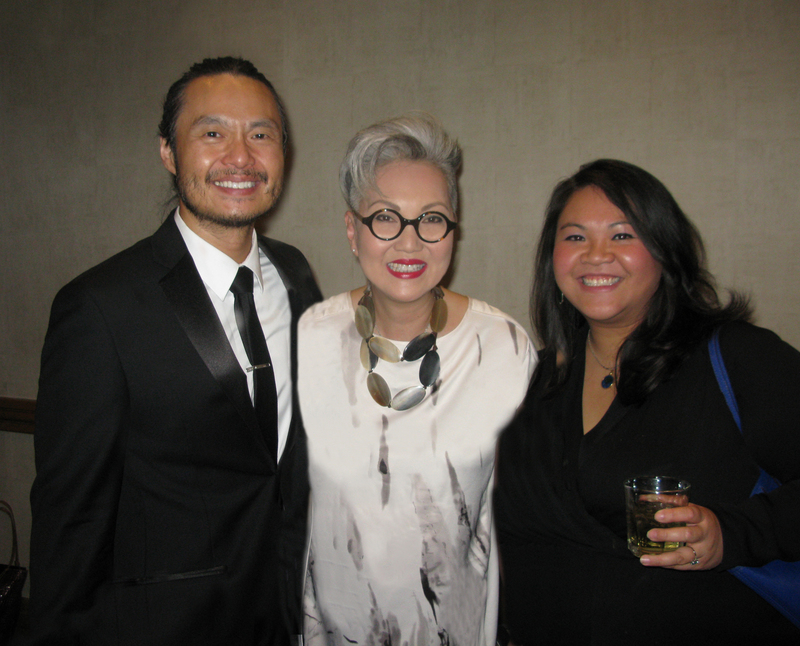 Naval Academy, Linda Toyota, President Asian Chamber of Commerce Houston and Betty Lo, Vice President of Community Alliances & Consumer Engagement at Nielsen. 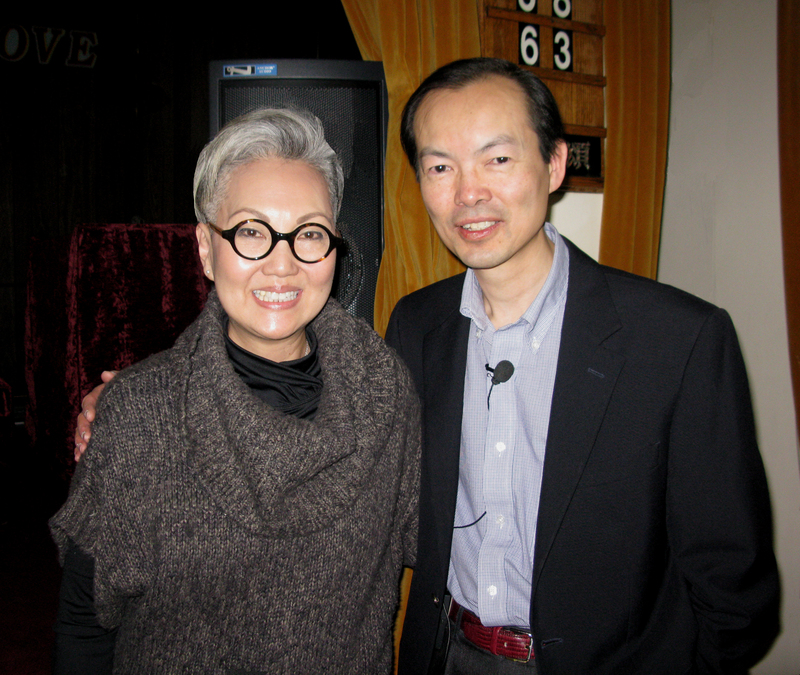 China Millennium Council President Mary Ho and International Award Winning Documentary Lost Years Fillmmaker Kenda Gee Discuss the Vast and Diverse Diaspora of Chinese Extending to U.S., Canada, Australia, New Zealand including Europe and the African continent. 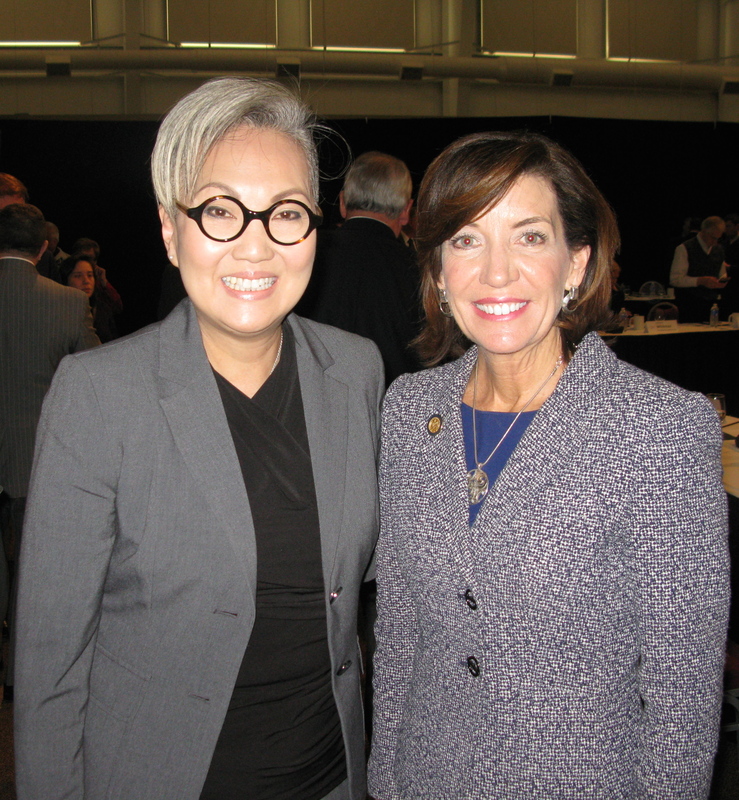 China Millennium Council President Mary Ho and New York State Lieutenant Governor Kathy Hochul Discuss the White House Initiative on Asian American Pacific Islanders WHI-AAPI Vital Business Presence and Issues Concerning AAPI involvement with the Upstate New York Finger Lakes Regional Economic Development Council and Governor Andrew Cuomo's 2015 New York Opportunity Agenda. AAPIs are the fastest growing minority group in America with enormous consumer impact, yet under-represented and overlooked in areas of leadership and governance. City of Rochester Office of the Mayor, Del Smith, Commissioner of Neighborhood & Business Development, Mary Ho, China Millennium Council President and Ken Sato, City Design Lab CEO Review Submission Proposal for Urban Revitalization to boost Upstate New York's economic opportunity to foster innovation and entrepreneurship, strengthen communities and enhance tourism and quality of life. Sato is a city resident and operates an urban fermentory business. 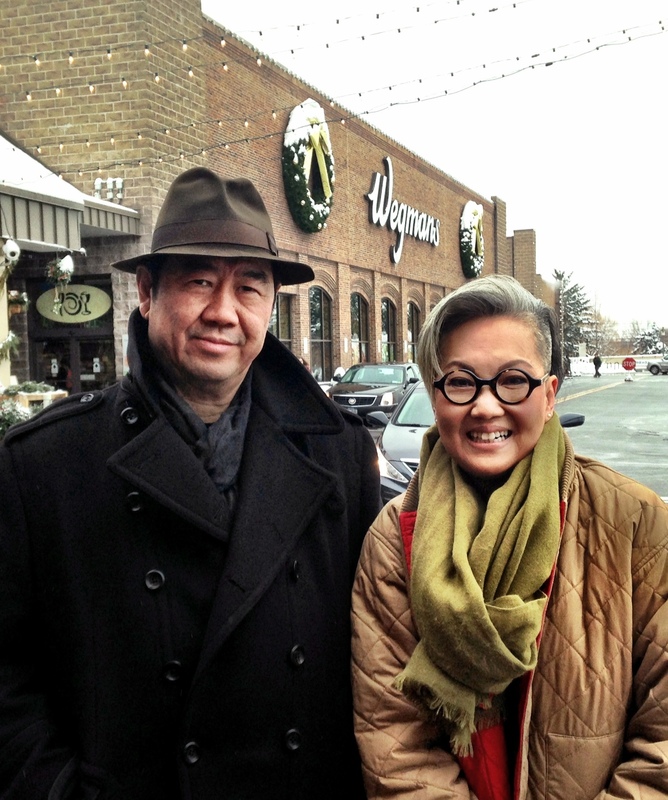 Wegmans Food Market flagship store in Pittsford New York recently launched a series of healthy home-style Chinese foods in collaboration with China’s leading hypermarket retail enterprise, the Beijing Hualian Group Investment Holding Co., LTD. BHG Chairman Ji Xiao An and his innovation team led by Frank Ji oversaw the development and training of Chinese culinary dishes for the chefs at Wegmans. Ready to eat foods emphasize authentic, nutritious and tasty dishes including Shiitake Mushroom Congée, Sichuan Style Dandan Noodles and Chinese Barbequed Pork. Catering to the ever-growing international palate of Wegman’s customers, their newly renovated Asian foods pantry now stock a wide variety of fresh Chinese youchoy and bokchoy greens, Daikon icicle radishes and select varieties of bulk long-grain and short grain rice. BHG Beijing Hualian Group Investment Holding Co.,Ltd. is a leading multinational global enterprise as one of the 15 largest retail enterprises supported by the China Ministry of Commerce including primary membership in the International Association of Department Stores (IADS), and two publicly listed companies and several holding companies. BHG Group’s business is focused on hypermarkets, supermarkets, department stores and commercial properties. BHG is established in more than 80 hypermarkets in 35 key cities and 23 provinces across China and the Pacific Rim countries. The Beijing Hualian Group values customers first and foremost. Their core business principles include integrity in all relationships — with employees, customers, suppliers and cooperating partners. “We seek to maintain and grow our company’s high recognition and reputation, and made “Beijing Hualian” a prestigious brand in the country” and now earmarked as a prestige global brand. China is now the fastest growing global economy, ranked second only to the U.S. as the world’s largest economy. The new visa accord established between U.S and China will enhance trade, investment, and business ties by facilitating travel and ease access to both economies. Extended validity visas for students and exchange visitors will foster the bonds between U.S. and China and facilitate travel for outstanding students from around the world who attend U.S. institutions of higher education. As a result of this arrangement, the U.S. hopes to welcome a growing share of eligible Chinese travelers, inject billions in the U.S. economy and create demand to support hundreds of thousands of additional U.S. jobs. Global growth of outbound travel from China represents an unprecedented opportunity to foster job creation across the country. China is the fastest growing outbound tourism market in the world, and Chinese visitors have accounted for 20 percent of the growth in overseas travel to the U.S. As incomes in China continue to rise, the number of Chinese citizens able to afford international travel and tourism is projected to more than double over the next few years, reaching the hundreds of millions. Close to 7.3 million Chinese are projected to travel to the U.S. by 2021, contributing nearly $85 billion a year to the economy and supporting 440,000 jobs. 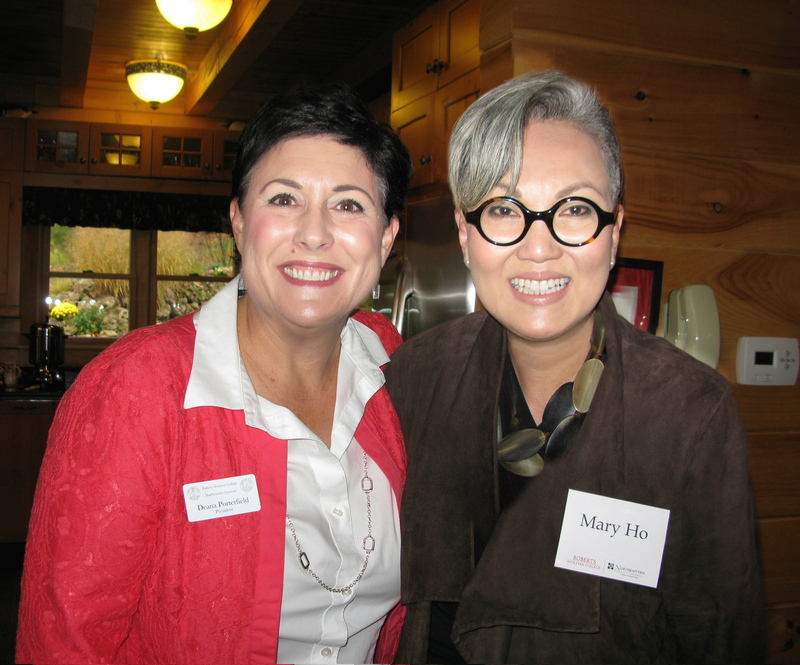 Roberts Wesleyan College 11th President Dr. Deana Porterfield and Mary Ho, China Millennium Council President Discuss the Role of Multicultural Education in Higher Learning Institutions by Developing Global Cultural Competencies and Bringing Together Minds, Hearts and Hands to Serve and Transform Our Modern Society. 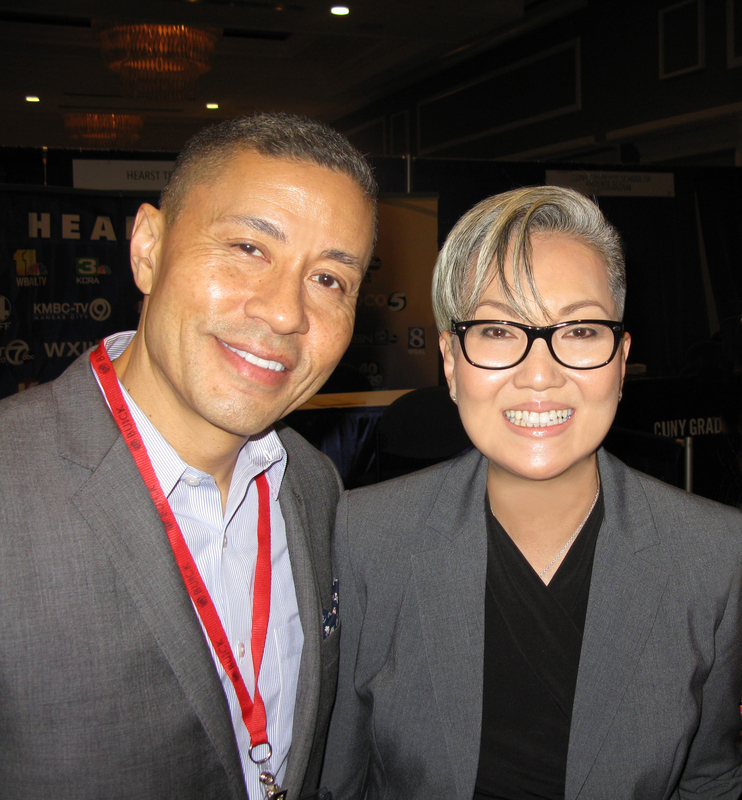 NBCUniversal Executive Vice President and Chief Diversity Officer Craig Robinson and AAJA Media Institute W.K. 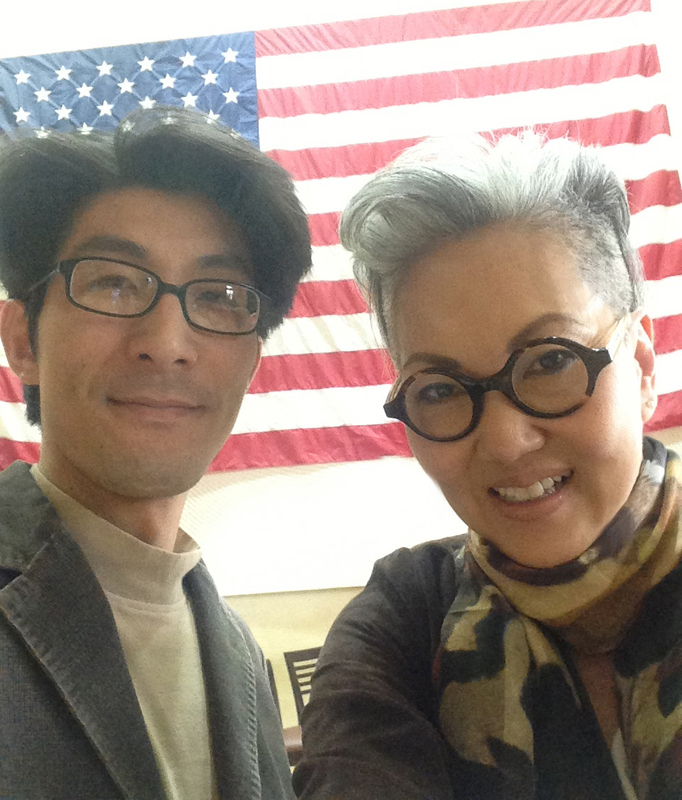 Kellogg Foundation Fellow Mary Ho Discuss the Emergence of the Fast Growing Asian American Pacific Islander Consumer Media Population in America, Emphasizing His Own Cultural Heritage as a Chinese Asian American.